A lively moderated discussion and public forum! 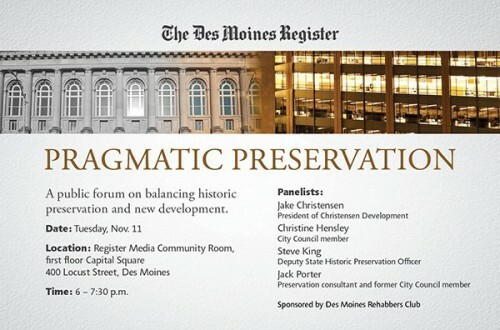 We will discuss the delicate balance between historic preservation and development in older neighborhoods. November 11, 2014, from 6:00 to 7:30 pm at the Register Media Community Room in the Capitol Square building downtown.